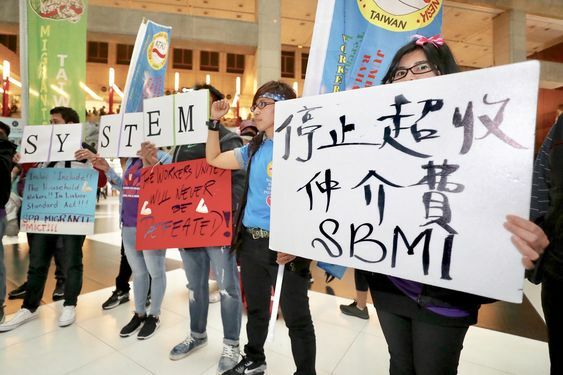 Taipei, March 24 (CNA) Over 100 migrant workers from the Philippines and Indonesia staged a flash mob show at Taipei Main Station, the city's main transport hub, on Sunday to protest gender-based violence and ask for better work conditions. The 135 workers were part of the performance to showcase the theme of "Rising for a Better System" and call for better rights and protection of female migrant workers, said the show's organizers, including the Taiwan Chapter of Migrante International (Migrante Taiwan). 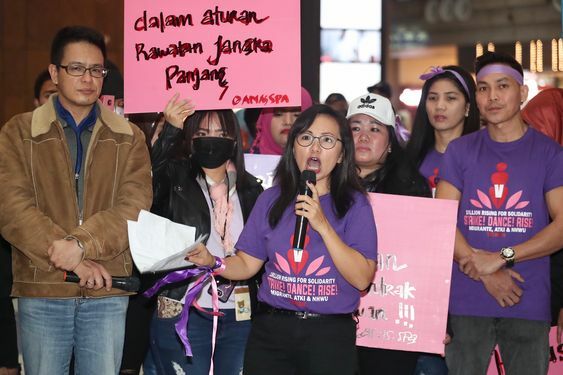 Gilda Banugan, chairperson of Migrante Taiwan, said that even though the "One Billion Rising Taiwan" campaign has been in place for seven consecutive years, the country has not done much to improve the working work conditions of female migrant workers. In an interview with CNA, she said many female migrant workers, especially domestic helpers, make a salary of only NT$17,000 (US$550) per month, which is not enough for them to both send money back home and also to live on. In addition, they are constantly forced to overwork or face verbal, physical or sexual abuse, Banugan said. Banugan called for domestic helpers to be included in Taiwan's main labor law, the Labor Standards Act, to be covered by labor insurance, and to be incorporated into the national long-term care system so migrants can get the same benefits as other caregivers. The group has also suggested allowing migrant workers to have paid leave, stopping illegal charges by brokers, and giving migrant workers a full 24 hours on holidays or requiring employers to pay overtime, Banugan said. 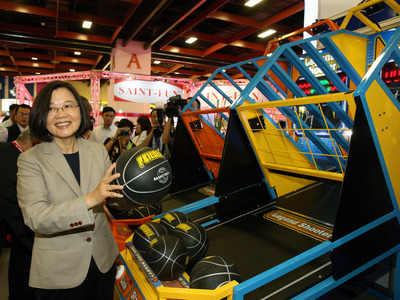 There are some 700,000 migrant workers in Taiwan, of which 380,000 are women, according to government statistics. Over 90 percent of foreign domestic helpers are women. The dance performance was held to echo the "One Billion Rising" movement, launched by American feminist Eve Ensler and started on Valentine's Day in 2012 as a call to mass action to end sexual violence against women.